In recent years, I haven't really been in the Halloween spirit. I don't care very much for the parade that takes place here in NYC, and I don't like to attend parties anymore. Could be my age I guess. This year Halloween falls square in the middle of the work week, during my longest day, so I feel the spirit even less. But it's not without a lack of trying. 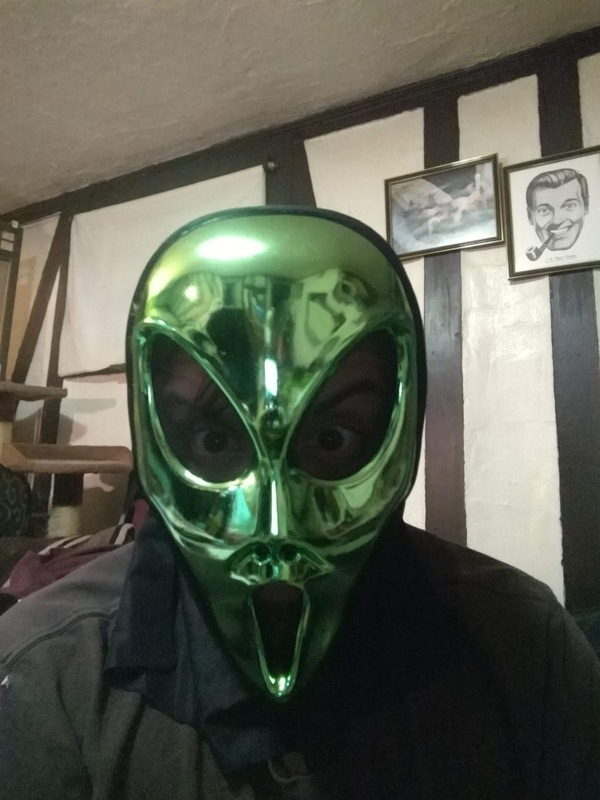 I've been updating my YouTube page with some simple videos featuring some of the spookier toys in my collection. I was hoping to get more done but it looks like I may not have the time. Even today I may have to fly out to Nevada for family reasons so I may not even experience Halloween in the right season. I can't imagine Nevada has autumn like we have it here in NYC. In any case, here my of my favorite toys. I purchased it from a dollar store last year, and it's of a Japanese Shinto spirit I believe. He makes that classic Halloween sound. I live in a basement apartment, which makes it feel even more like a haunted video (I guess). You can see the above figure in the background of the below picture. 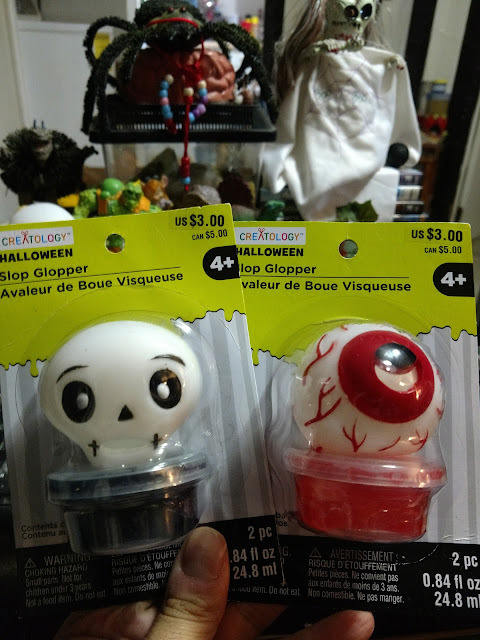 The "Slop Gloppers" are a great little toy. There's a whole collection of them, but I only found the skull and the eyeball. 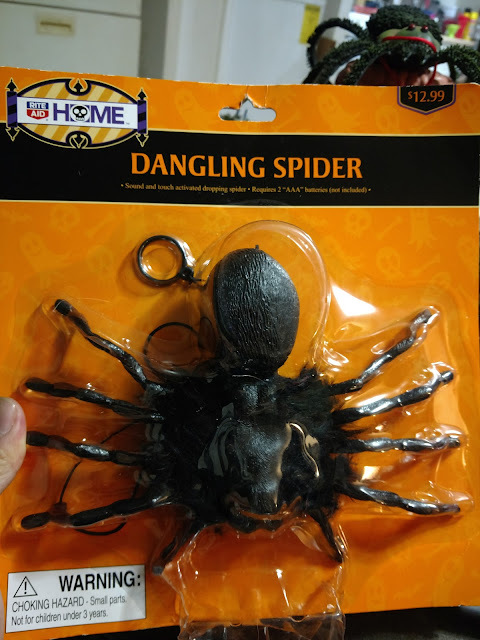 I didn't have a chance to film the "Dangling Spider" yet, maybe after my trip (if I go). But I love weird spider toys as well. You may notice the rubber spider in the background - it squeaks! The other day, my girlfriend and her father went to an escape room called "Beat the Bomb" located in Brooklyn. What a fun place, let me tell you, I'd gladly go again. The whole thing was about 40 minutes long and was one part obstacle course and one part puzzle solving. Really inventive and fun. The video below is our team video (we were The Unicorns) and I took most of the hit from the paint blast. It didn't hurt, but it did push me back a bit. It was like getting hit by a pillow. 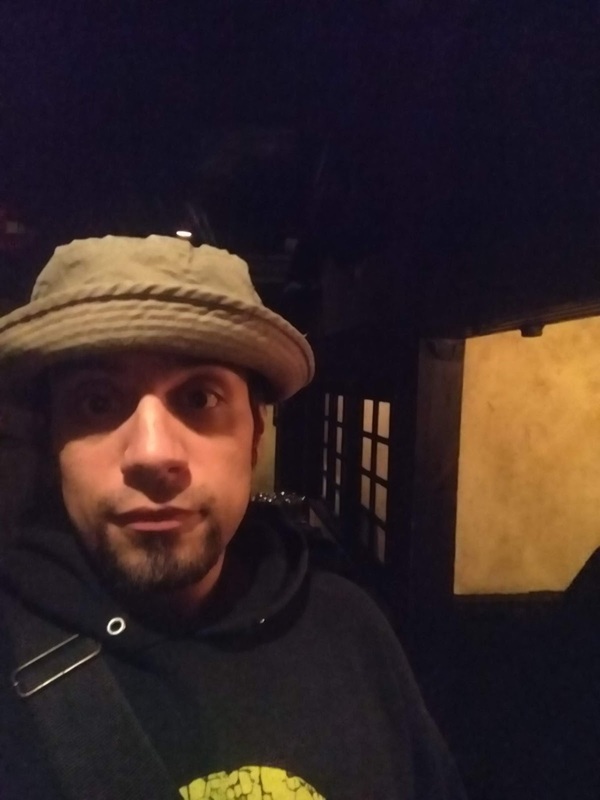 After "Beat the Bomb" we went to the famous gimmicky restaurant NINJA that's located somewhere downtown. 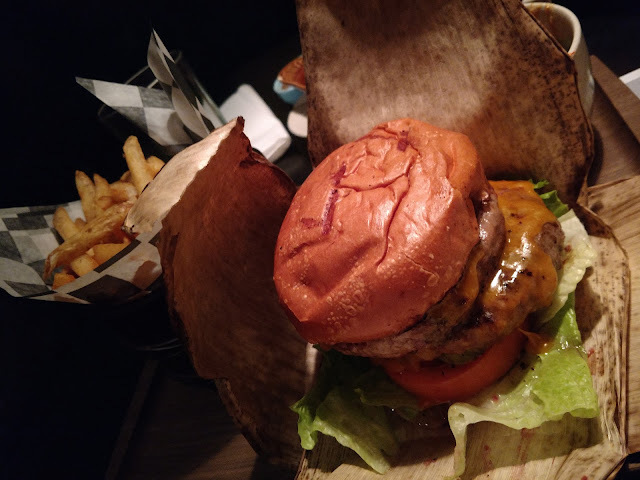 It was pretty good. 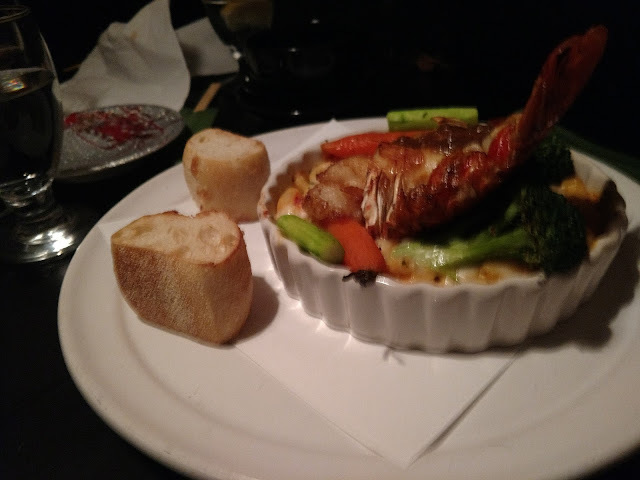 The food was delicious, and the atmosphere was fun. It's a real tourist trap though. Not sure if I'd go again, but I'm glad I went at least once. There's more I'd like to talk about but sadly I do not have the time. Oh I should mention that if you have Amazon Prime, the documentary "AMERICAN SCARY" is now available. 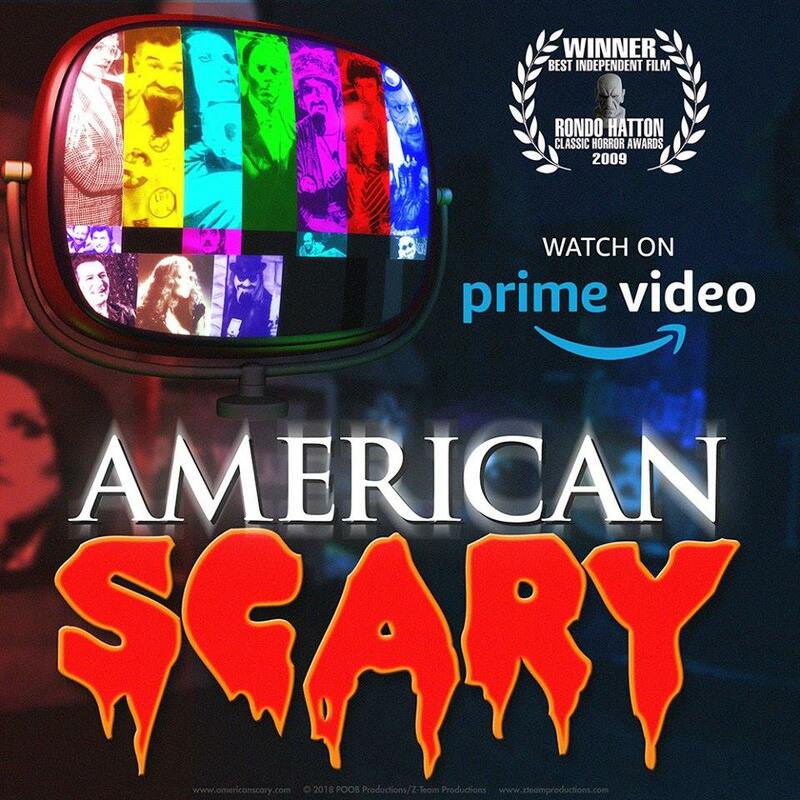 It's all about American horror hosts, their legacy, and origins. It's pretty cool. There's some rare footage to be seen, and even rarer interviews, so give it a watch. Perfect for Halloween. 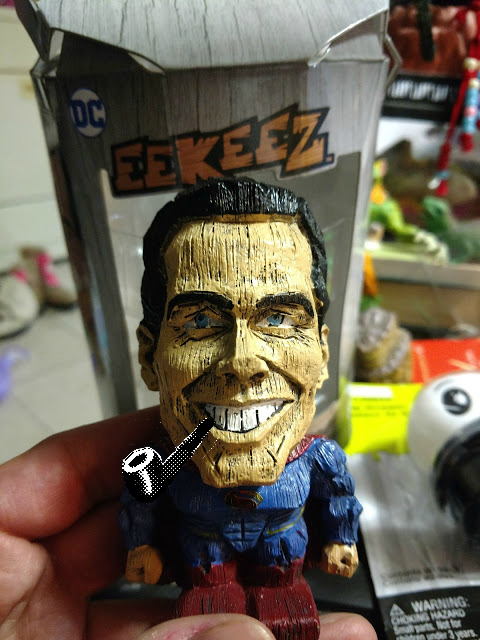 A wonderful friend of mine purchased for me what might be the gaudiest collectible in our day; a DC branded "Eekeez" tiki figure of Henry Cavil's Superman from the movie "Justice League". 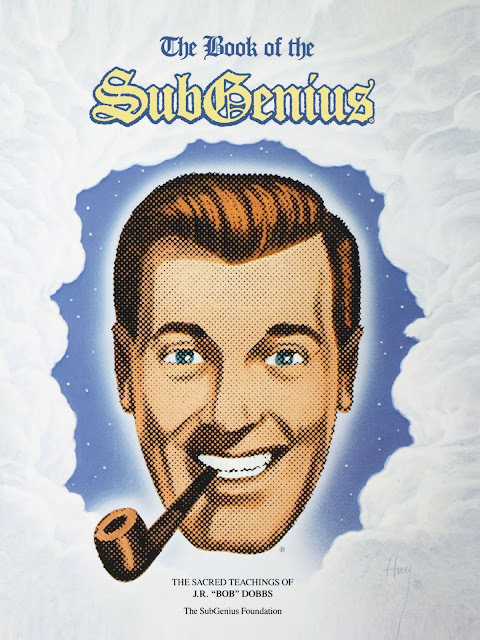 Now this figure might be modeled after Henry Cavil, but all I see is J.R. "Bob" Dobbs, High Epopt of the Church of the SubGenius!